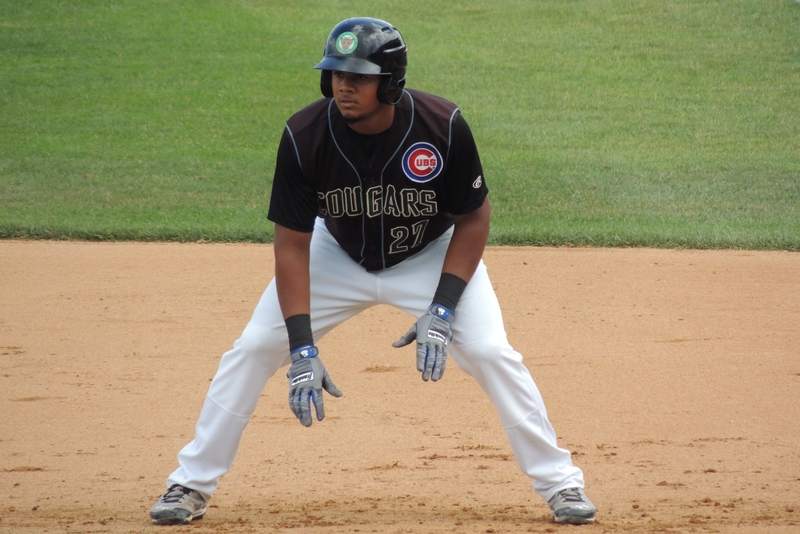 Former Kane County Cougars third baseman Jeimer Candelario made his major-league debut for the Chicago Cubs on Sunday — and he did it against New York Mets fireballer (and former Lansing Lugnuts pitcher) Noah Syndergaard. Candelario struck out in both of his first two at-bats before collecting his first major-league hit — a single to right field in the top of the 7th inning — in his third at-bat against Syndergaard. He struck out a third time in his fourth at-bat, versus Mets reliever Logan Verrett. Candelario played 193 games for the 2013-14 Cougars, cumulatively batting .254 with 17 HR and 94 RBI. He was on the team when the Cougars won the 2014 Midwest League Championship Series. 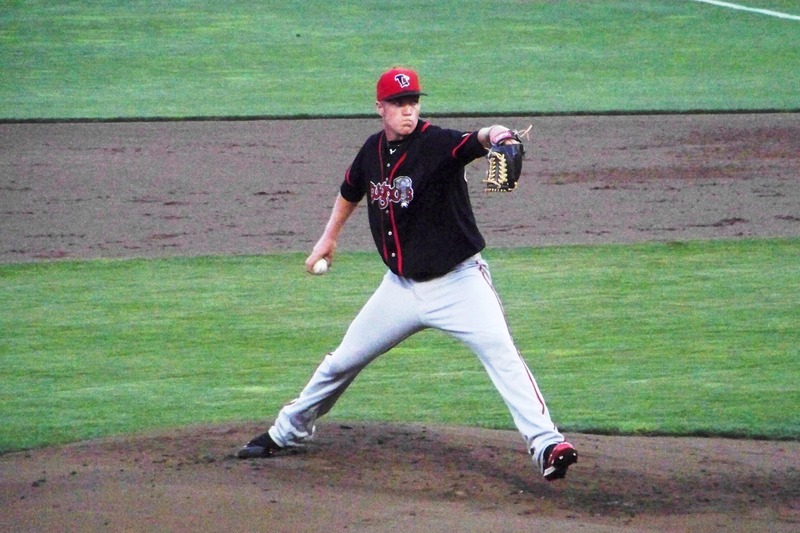 Syndergaard went 8-5 with a 2.60 ERA, 122 strikeouts and 31 walks in 103.2 IP for the 2012 Lugnuts. He also made two regular-season starts for Lansing in late 2011, striking out nine batters in nine innings. This entry was posted in 2014 Playoffs, Kane County Cougars, Lansing Lugnuts, Midwest League. Bookmark the permalink.